Artfest is just around the corner, and the Friends of Coeur d'Alene Park want to remind you that they will have their Lemonade Stand at the Patsy Clark Mansion again this year. Starting on Friday, May 29, and ending on Sunday May 31. Stop by and learn about the work that this group is doing to preserve and restore our neighborhood park. T-Shirts and other park related items will be for sale along with some "surprises". 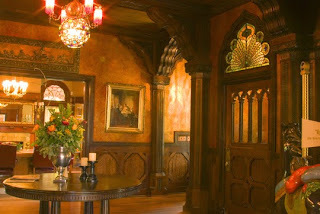 If you have never toured the Patsy Clark Mansion, this will be your best chance to get a look behind those front doors. 15 min tours with stories of the neighborhood of the Patsy Clark Mansion will be offered on Saturday and Sunday during the weekend. The hours of tours are 11-5 Saturday and 11-4 on Sunday. A $5 donation is requested.